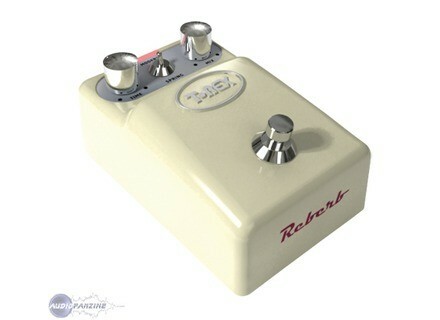 ToneBug Reverb, Reverb for Guitar from T-Rex Engineering in the ToneBug series. 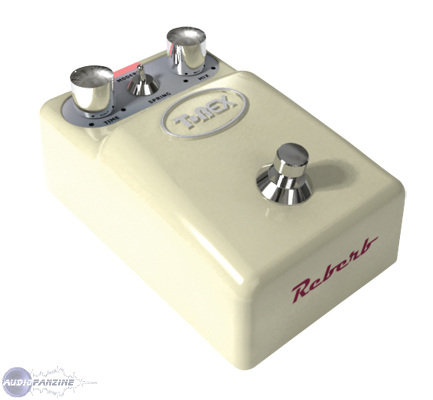 T-Rex has announced the availability of its ToneBug Reverb and Tonebug Overdrive pedals. The Tonebug Reverb is available since February 2nd for a European MRSP of €149. The Tonebug Overdrive is available since February 2nd for a European MRSP of €99. Headstrong Lil' King-S The Headstrong Lil' King-S is the 25 watt version of the company's Lil' King Amp. B.C. Rich Double Neck Bich B.C. Rich Guitars has announced the Double Neck Bich electric guitar as a standard production model in 2009. Orange Amps Dual Terror OS-DT30-H Orange has announced the ‘Dual Terror’: a twin channel, 30-watt head, switchable from 30 to 15 or 7 watts.